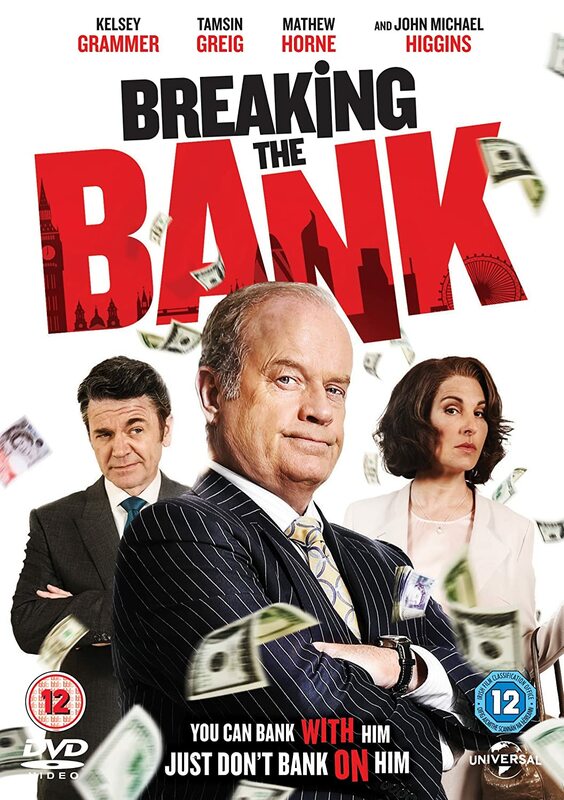 Forever known for playing erudite talk show shrink Dr. Frasier Crane over the course of twenty years and two hugely popular US sitcoms, Kelsey Grammer crosses the Atlantic to surround himself with a smattering of UK sitcom stars as brainless, out-of-touch banking titan Charles Bunbury in this straight-to-DVD fiscal farce from director Vadim Jean, best known for his three glossy Terry Pratchett adaptations for Sky1. Affecting a snooty, upper class disdain and throwing in phrases like “chap” and “old bean” is not enough to convince me that Bunbury is a Brit. Likewise, growing a beard, trading loafers for dirty trainers and looking a bit glum is not enough to convince me that Bunbury is suicidal, following his naïve trust in shady shark Matthew Gavin & Stacey Horne’s bogus insider trading tips. The problem resides in the bubbly, carefree tone, which never confers enough gravitas on “Charlie Chuckaway’s” life-destroying dilemma; from Pitch Perfect’s John Michael Higgins’ smarmy “yank” takeover tease to Tamsin Episodes Greig’s frustrated-but-floundering wife, there’s not a cent of integrity in any of the cavalier, OTT performances – and ultimately, this makes Breaking the Bank subprime stock which is impossible to invest in.